I am very pleased my first book has just been published and that I am able to share it with you on my own website. My book is in line with the prestigious Marmac Guide series from Pelican Publishing and I couldn't be more proud. My book is choc full of interesting facts and figures, lists of all the attractions, accommodations, sights, and lots of information for new residents in this incredibly fascinating city. 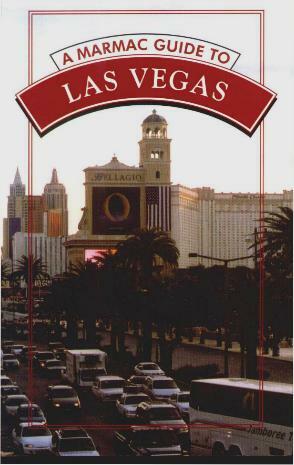 Las Vegas is growing at an alarming rate and is, as ever, an extremely popular vacation destination - children included. I'm happy to say that the photographs used in the book are all ones I took, except the cover picture. Do make use of the extremely helpful Las Vegas Chamber of Commerce at their website www.lvchamber.com, and the Las Vegas Convention Center and Visitors Authority at their website www.lvcva.com. I highly recommend a trip to this intriguing and seductive city - you'll have a blast. Conclusion - What can I say!